Vegas’ hospitality industry keeps waiting for things to get back to normal, but how do you rebuild a town based on excess when excess is out of fashion? They’re called “the cooler crowd,” and Las Vegas is greeting them with ambivalence: A stream of post-recession tourists ready for fun but watching their wallets. They gamble less extravagantly than the typical visitor of the past, skimp on tips, sometimes lug coolers and microwaves into their hotel rooms to save on drinks and meals. They’re a mixed blessing in a state hit as hard as any by the economic downturn and still struggling to recover. They’re not the only visitors, of course. President Barack Obama and his Republican rival, Mitt Romney have been here, competing strenuously for Nevada’s six electoral votes in what is one of the most contested states. The candidates, too, have gotten a mixed reception. Some kingpins of the gambling industry are writing big campaign checks, but many Nevadans have other matters on their mind, namely foreclosures, layoffs, wage cuts, medical bills. At the MGM Grand, one of the 30-plus lavish gambling resorts along the Las Vegas Strip, bell captain Craig Houston gets a good look at both the high rollers and the “cooler crowd” streaming into the grandiose lobby. Though many visitors are stingier than in the past, the flow of visitors has rebounded to pre-recession levels, and industry analysts say 2012 could end with a record. By some measures, Houston is fortunate. In the state with the highest jobless rate, at 11.6 percent, he’s back at work after being laid off from another resort in 2008, going through bankruptcy and losing his home. He’s now a renter, and he tells his grown sons to stay out of the casino business. “You get upset that you’re not making the money you used to,” he says. Houston, 50, says he’s weary of political bickering and wishes for more focused efforts to boost the middle class. He’s not overwhelmed by Obama’s performance, but expects to vote for him anyway. For many in the state, their wish list for the election is short. “Mostly people will be looking at national economy — looking for a broad recovery which gives people elsewhere more discretionary income to come here,” said David Schwartz, director of the Center for Gaming Research at the University of Nevada, Las Vegas. Obama won the state in 2008, thanks in part to strong backing from union members and other working-class voters alarmed by the economic collapse. Four years later, Nevada is still beleaguered. It has lost 12 percent of its jobs during that span, the highest rate in the nation, and its foreclosure rate also remains one of the worst. Given the pain inflicted by Nevada’s housing crisis, it’s not surprising that Obama’s campaign ran an ad attempting to use Romney’s own words against him. Nelson Araujo of the Financial Guidance Center, which counsels hard-up Latino families in Las Vegas, said many of his clients were grateful to the Obama administration for federal initiatives, such as the U.S. Treasury’s Hardest Hit Fund, that enabled some low-income homeowners to avoid foreclosures. “Because we’re such a hard-hit state, people want to know who’s going to bring that aid,” said Araujo, expressing skepticism that only private-sector efforts would suffice. In greater Las Vegas, the state’s economic engine and home to 72 percent of its people, the picture is mixed. At the high end, sales of luxury condominium units at the Trump International Hotel are surging, with many of the buyers from Asia. Despite some recent diversification, Nevada’s economy is more concentrated than virtually any other state. 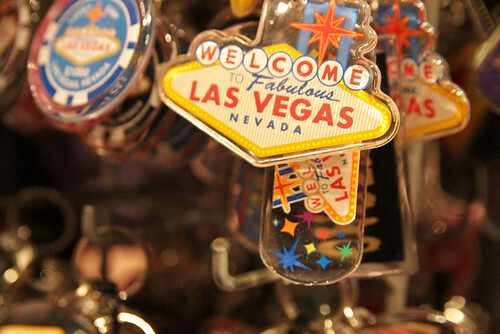 The tourism/gambling sector accounts for more than one-quarter of Nevada’s 1.14 million nonfarm jobs, and 13 of the 20 largest employers are casino/hotel companies. Thanks to intensive organizing in that industry, Nevada stands out as a rare stronghold for private sector unions. The hotel and casino operators, unlike counterparts in some other sectors, can’t threaten to outsource or relocate, giving the unions some extra leverage. Taylor’s union, Culinary Workers Local 226, claims 60,000 members in Las Vegas. They’re waitresses, housekeepers, doormen and others at nearly all the main hotels on the Strip and most of the less-glamorous establishments in downtown. At the union hall, in a low-rise industrial area north of the Strip, members said their contracts helped them endure the worst of the recession, although there was no immunity to hard times. Local 226 gave Obama one of his first big labor endorsements during the Democratic primary campaign in 2008, and Wells said she is sticking with the president this year. Ryan Erwin, a Nevada political consultant who’s advising the Romney campaign, believes economic conditions favor his candidate. As of the 2008 election, Wulf says he operated three Jimmy John’s sandwich shops with 94 employees and was planning to expand. He said administration policies, notably Obama’s health care overhaul, undermined his confidence, prompting him to sell one of the stores and cut his workforce to about 50 in hopes he wouldn’t be forced to provide them with health care. “We become a defensive business instead of growing and expanding,” he said. A small business owner in the Obama camp is Ron Nelsen, 52, who runs Las Vegas-based Pioneer Overhead Door. He says the recent downturn was the worst he’d experienced in a 34-year career, forcing him to cut his 10-person workforce in half, but he now detects signs of an upswing and is ready to add at least one more worker. Then there’s Jon Basso, owner and impresario at the Heart Attack Grill on a pedestrian mall in downtown Las Vegas. “Taste Worth Dying For” is the restaurant’s motto. A vintage ambulance is parked by the entrance, the waitresses are clad as nurses, and customers don hospital gowns before consuming the high-calorie burgers, fries and butterfat shakes. Basso, tending bar in a doctor’s coat, said his business weathered the recession well “because of how outlandish we are.” He mimed a coin flip when asked about his presidential preference; his favored candidate had been Ron Paul, the Texas congressman outpaced by Romney. Romney is a devout Mormon. His Church of Jesus Christ of Latter-day Saints opposes gambling and says governments should not sponsor it. Obama, also a sober-minded family man, irked local civic leaders early in his term by using Las Vegas visits as a metaphor for profligacy. “In Nevada, we say there’s only one political party. It’s the gaming party,” said David Damore, a political science professor at UNLV. Some of the best-known figures — casino moguls Sheldon Adelson and Steve Wynn, for example — have berated Obama’s policies. Adelson, CEO of the Las Vegas Sands Corp., is giving tens of millions of dollars to Republican causes this election season, including a group supporting Romney. “At our company, we lean down the middle. We need friends on both sides,” said Jan Jones, a former Las Vegas mayor who’s now an executive with Caesars Entertainment. She personally supports Obama — more for his positions on women’s issues and health care than for business-related factors. It might seem that Romney, from a faith opposed to gambling, would be viewed warily by the industry’s movers and shakers, but that’s not the case. Influential members of Nevada’s large Mormon community have found ways to profit from the casinos over the decades. One of the first influential bankers to make loans to the casinos in the 1960s, Parry Thomas, came from a Mormon family. Now a pro-Romney political action group is accepting huge sums from Adelson, whose casino investments in Macau and Singapore have made him one of the world’s richest men. Some Las Vegans assume a Romney administration would find ways to show gratitude. “Romney may not particularly like gambling, but he’s not going to go out of his way to hurt it,” said Jan Jones. Neither candidate is a likely supporter of another Nevada industry: prostitution. It’s illegal in Las Vegas, but is allowed in most Nevada counties. Dennis Hof, owner of the Moonlite Bunny Ranch brothel near Carson City, says business has boomed even during the recession, thanks in part to publicity from an HBO series about the enterprise. This year, he’s leaning toward Romney for his business background.